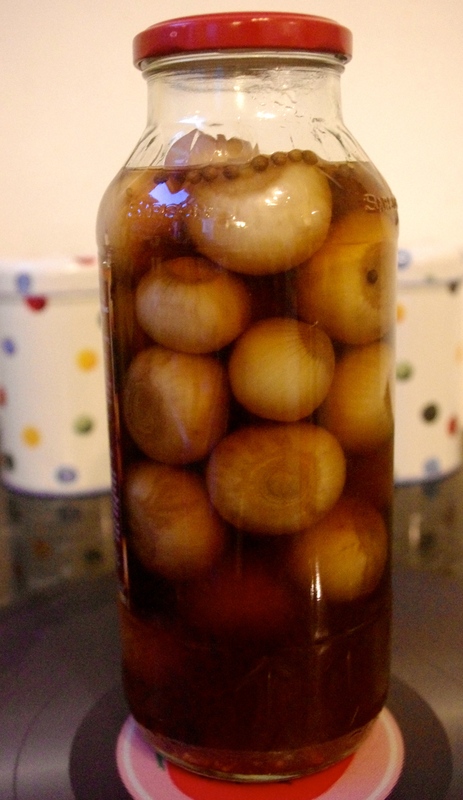 My Nan and my Mum make their own pickled onions every year in time for Christmas. These onions are always a bit of a challenge as they are spicy-hot! They are so much crunchier and full of flavour compared to bland supermarket onions. Looking forward to opening these at Christmas. I’m not a fan of royal icing or marzipan. They are both far too sweet for me. So I have gone for a Dundee cake instead this Christmas. My snowman and snowdog cranberry and orange shortbread. I’m a big kid I know. 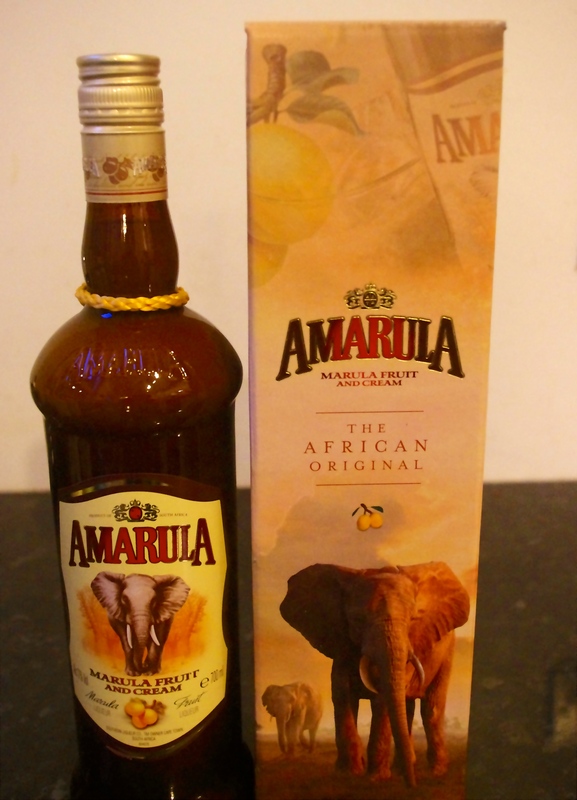 My husband came home with a bottle of Amarula the other day which reminded me of our safari to South Africa last year. Happy Days! I did an amazing gift wrapping course with Jane Means at Clifton Nurseries in London last week. Jane taught us how to make our own gorgeous gift bags with ribbon roses and beautiful envelopes embellished with a tailors bow for gift vouchers or cards. Jane is a ‘Gift Wrap Guru,’ and her portfolio includes Harrods, House of Fraser, Claridges, Dior and Lakeland to name just a few. Her new book ‘giftwrapped’ is packed with tips, ideas and step by step guides. Perfect for a night in with the girls. You can also follow Jane at www.janemeansblog.com for tips on gift wrapping this Christmas. 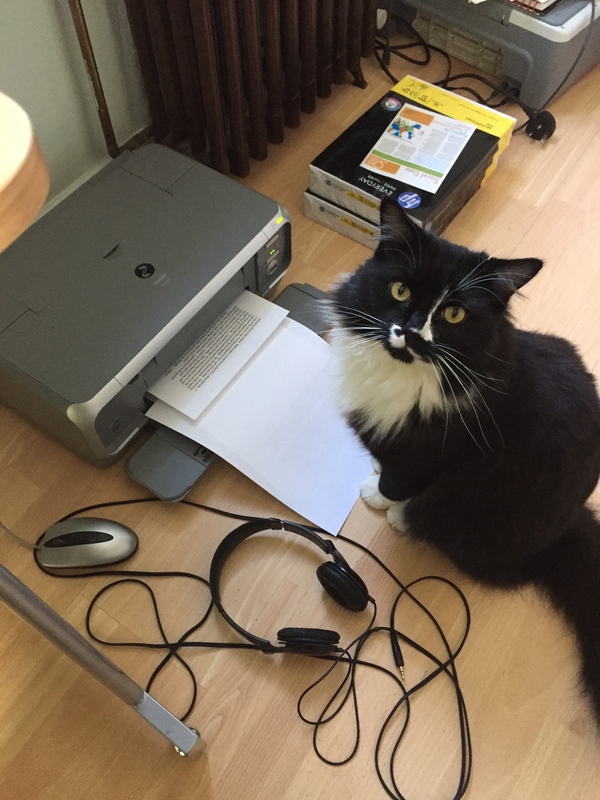 Miles has been busy working on his novel, which I have discovered is a series of complaint letters to Battersea Dogs and Cats home for allowing us to adopt him. That boy doesn’t know how good he’s got it! Just a reminder you can now follow surreyKitchen on Facebook. the snow dogs are adorable! Ha ha ha, love the Miles part 😂! It all looks so wonderful, I especially like the shortbread. I love a well wrapped present and try to put some effort into my wrapping. I get so sick of people using store bought gift bags because they are lazy. I missing really unwrapping a present, opening a bag isn’t the same! I am glad you enjoyed the post. you should check out Jane’s gift wrapping blog. She has some fantastic ideas that are really simple to lift your home wrapping to a professional standard. She was so fed up with the way everything you buy in Britain is just chucked in a carrier bag that she made it her goat to teach the U.K to wrap like they do in places on the continent such as Paris. It was a fun evening. The link to Jane’s blog is in my IMK post if you are interested. Emma. Thanks! I remember all the beautiful papers and wrapping from when I lived in Germany. Americans are pretty lazy with the gift bags. Are one is just straight Amarula. It isn’t flavoured. To be honest I’m not a big fan. I don’t like creamy alcoholic drinks like Baileys, but my husband likes a glass. I just like the elephant on the bottle. Miles says hi. Emma. I am glad you enjoyed the post and I hope you find someone to help you peel the onions very soon. If you are interested in gift wrapping you should check out Jane’s blog. There are some really wonderful simple tips to lift your home wrapping to a professional standard. The link is in my IMK post. Take care. Emma. I too have just done some pickled onions. They make great gifts and I just love a pickled onion and cheese on rye sandwich! You can’t beat pickled onions at Christmas. Emma. like the look of the Dundee cake! Something went wrong and my comment went AWOL. I would love to do a gift wrapping course, what fun and I will enjoy an Amarula this evening for you Emma. Love your solution to marzipan which I always find too sweet too. All your creations look divine! Hello Emma! Found you over at Celia’s blog… great to be here! 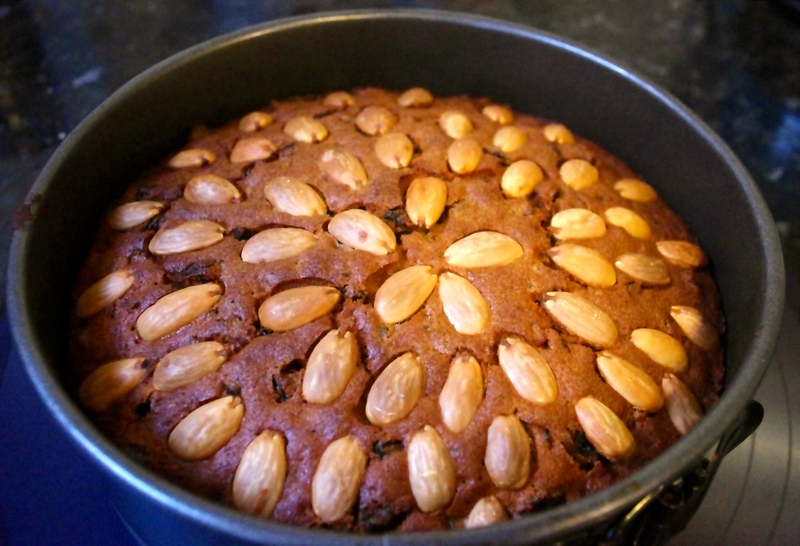 I am loving your Dundee cake, studded with those beautiful almonds. Royal icing is a bit to sweet for me as well. I’d love a slice with a nice cuppa! My husband is from South Africa so I know Amarula very well. When we fly back to visit his family they serve mini bottles on the airlines. It has such a nice flavor, doesn’t it? I’ve recently gotten into pickling vegetables and your onions look lovely. Nothing beats that fresh crunch. 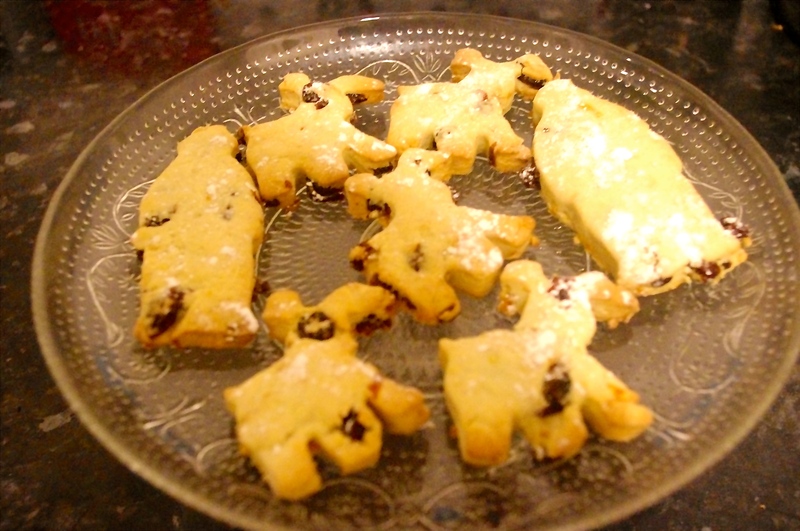 I hope they are as delicious as you’ve imagined on Christmas Day. I love seeing all these Christmassy preparations on everyone’s blogs – very exciting! I love the look of your pickled onions – I have made them before, but it’s so hard to get small enough onions here I usually don’t bother… Great looking Dundee cake too – I’ve actually got Delia’s recipe book marked at the moment and was going to give it a try – have you posted yours? Hi Emma – those pickled onions intrigue me and I do love your Dundee Cake too. The gift wrapping class must have been great fun – you always do such interesting things! Miles is just hilarious! Have a wonderful Christmas, Emma!